We can offer a fairly wide range of batteries for different categories and types of watches. Of all the options should be mentioned especially recommended for replacement power for clock the elements produced by the Swiss firm RENATA. 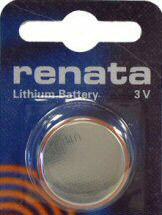 Wide range of products manufactured by RENATA, includes more than 40 types of battery, most of which are so-called silver-oxide battery with a rated voltage of 1.55V. These batteries provide a voltage of any electronic devices that require ultra-compact and durable energy sources with low voltage. Through continuous interaction with the watch industry in Switzerland, the company has RENATA has complete and most new information about the needs for new and existing high-quality batteries for clock. Life time, ie the period during which the batteries are fully retain their consumer properties - is one of the most important parameters of interest to the final consumer. Due to the low levels of self-discharge, the silver-oxide batteries fully preserve their options in the next 2-4 years, depending on size. We must not forget that the period of storage is directly related to the conditions under which the batteries are stored. Temperature 10-20 ° C and a humidity of 50-60% - this is the most optimal storage conditions under which the manufacturer guarantees the preservation of all parameters. Any exposure to low or high temperatures or the presence of moisture, promotes condensation, increase the self-discharge currents, thereby reducing the shelf life. 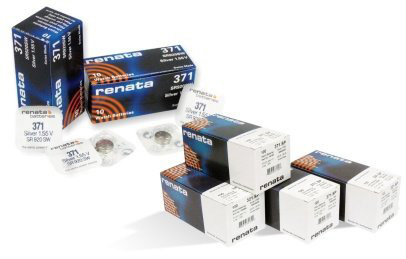 Due to its unique characteristics, as well as an extensive network of importers and distributors of the company, RENATA batteries for watches demanded producers, service centers and customers in over 100 countries around the world. Addition to the above , we have battery for watches from other manufacturers. Sometimes it is not for use in expensive watches, for example such as the souvenir watches, or teenage children's watches, more appropriate to use a less expensive batteries. In such cases, we recommend that the batteries for watches made in Japan, just enough well-known brands of Sony, Maxwell. Which are also quite a long time on the market of batteries, including those for watches and proved themselves well. As RENATA, Sony and Maxwell demanded sufficiently, as well as high quality, long-life batteries, which typically exceeds the life of standard. Also the batteries for watches made in Japan are more best value. Мбор 16ф цена материал базальтовый.